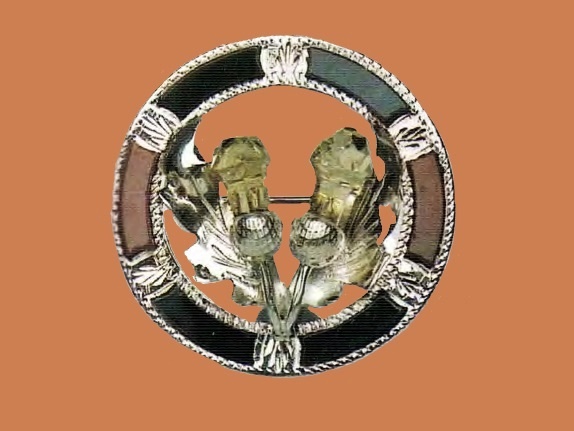 Now very rare, Scottish silver products with the inserts of agate, granite and other local stones. 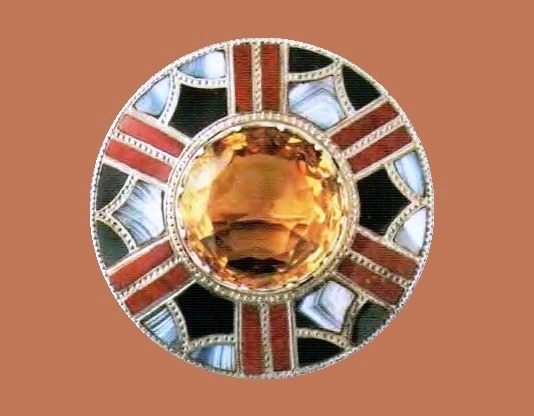 Such jewellery became especially popular when Queen Victoria, always feeling proud of her Scottish ancestors, bought Bolmoral Castle in 1848. 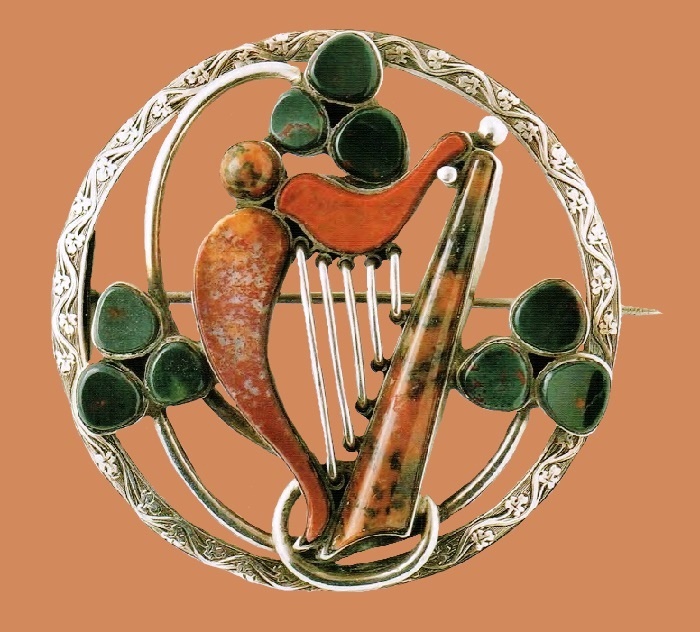 In the design of the Celtic hand-made jewelry, they were often more refined and often made according to individual orders. 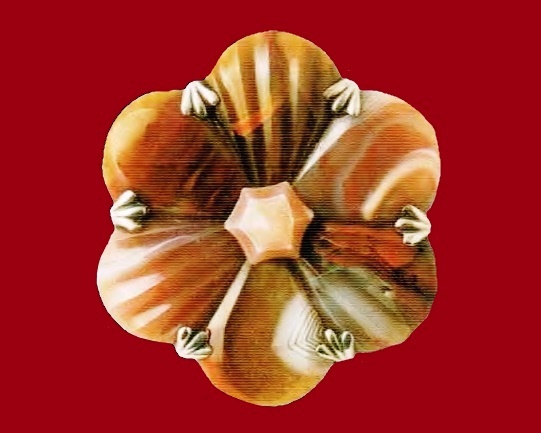 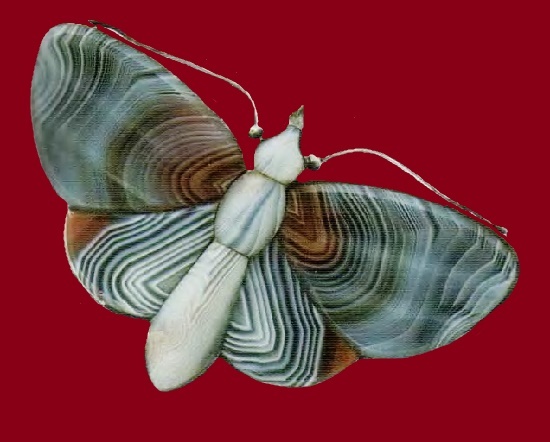 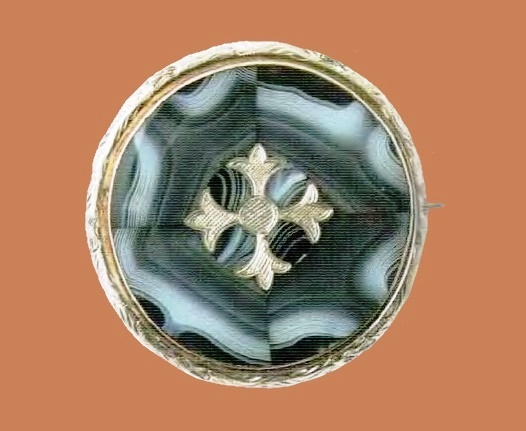 Craftsmen used agate, a variegated veined variety of chalcedony, in costume jewelry from the time of the Roman Empire, usually carved in the form of oval cabochon or figurines. 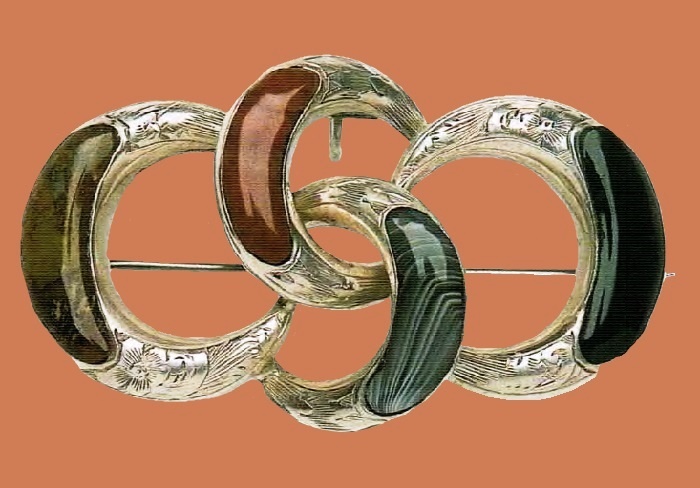 The muted colors of agate — swampy green, rusty red and ocher — combined with the gray tones of granite matched the palette of the Scottish landscape. 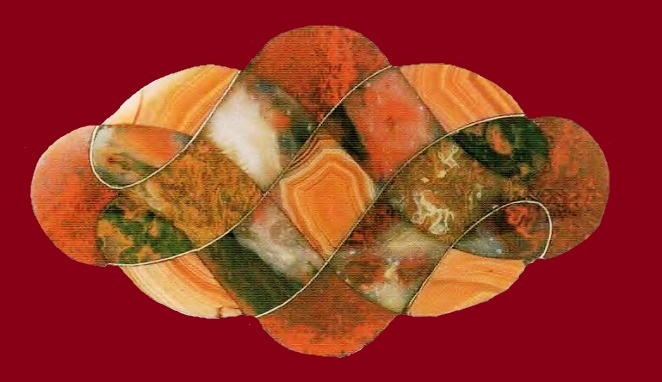 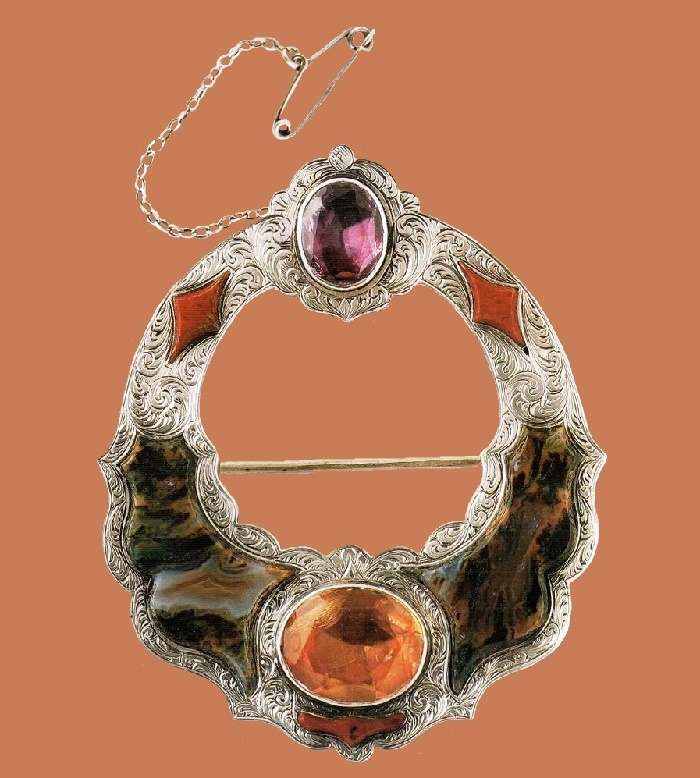 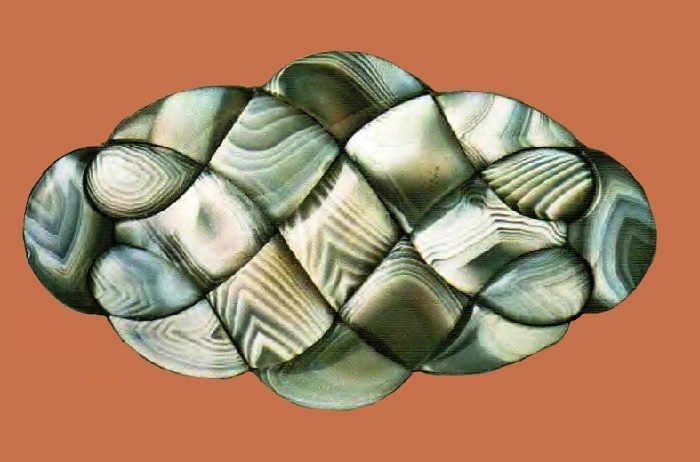 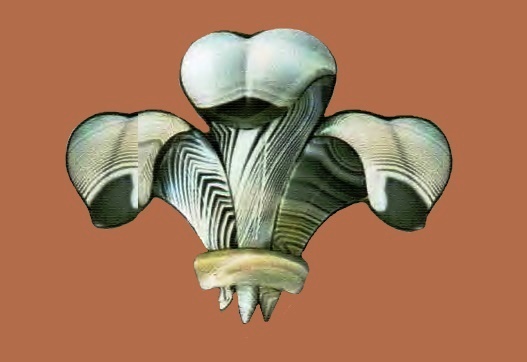 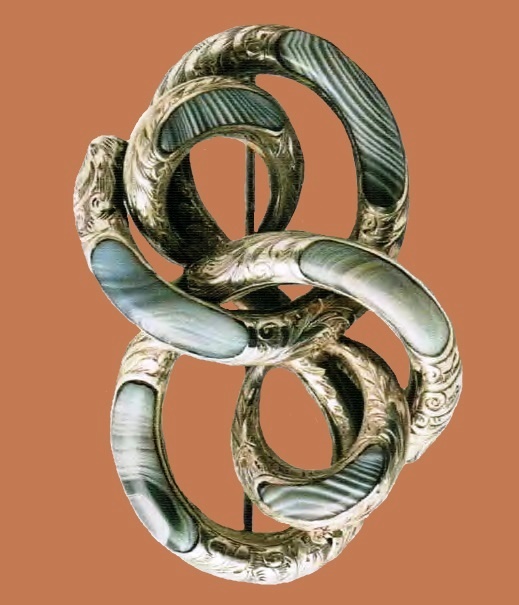 Agate biotechnology sometimes inherited the forms of Celtic embellishments. 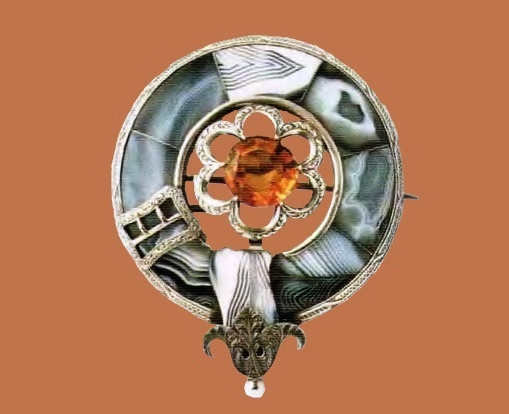 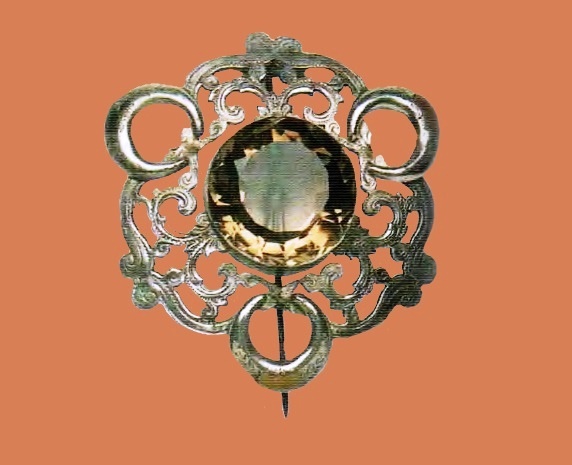 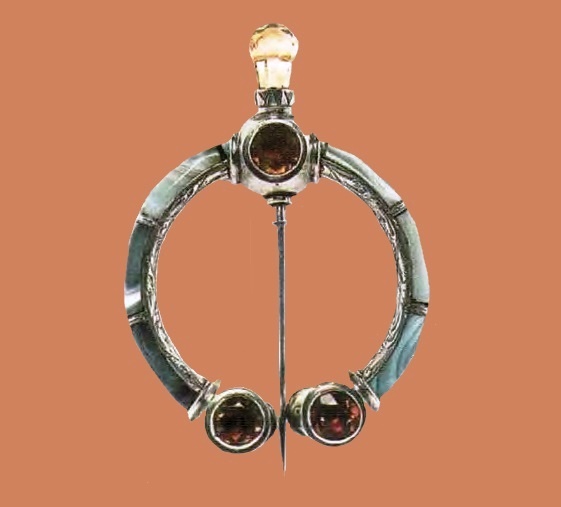 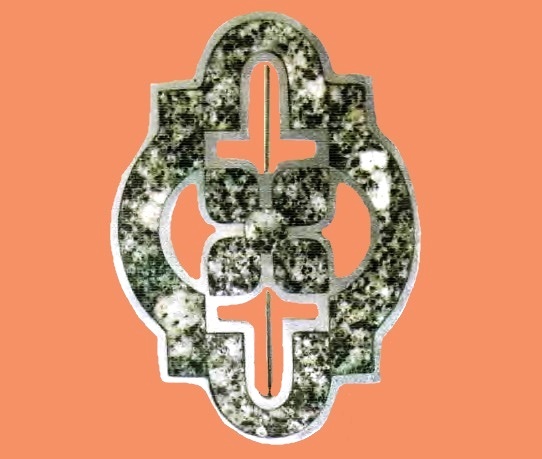 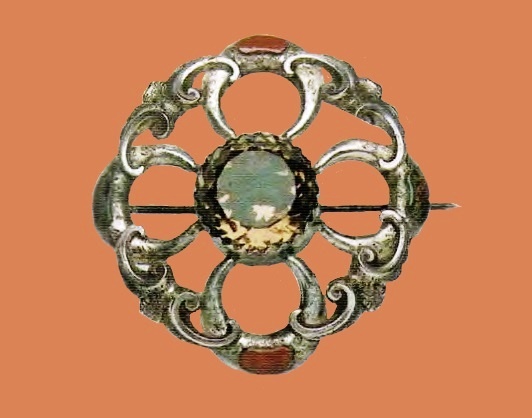 For example, a dagger brooch or a round brooch with a long hanging pin, a black topoloch motif, a harp, a Celtic cross and heraldic attributes for a weapon. 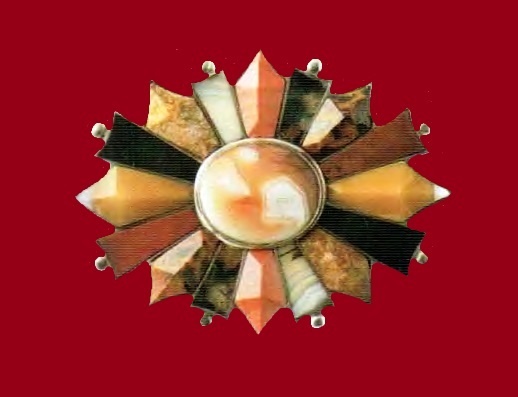 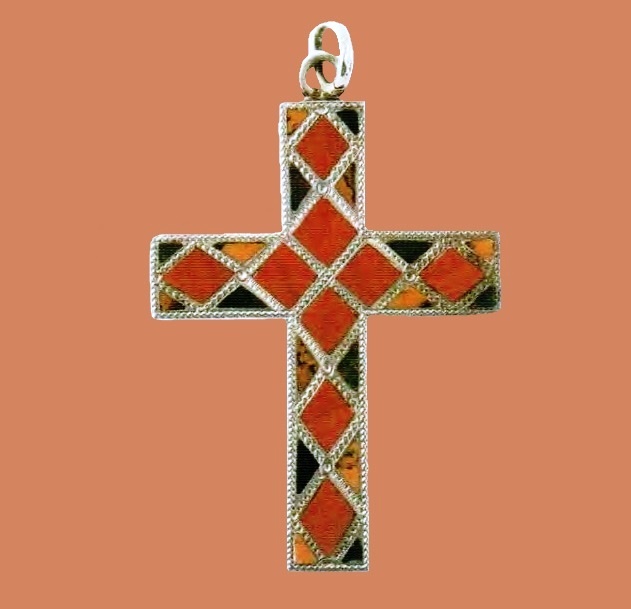 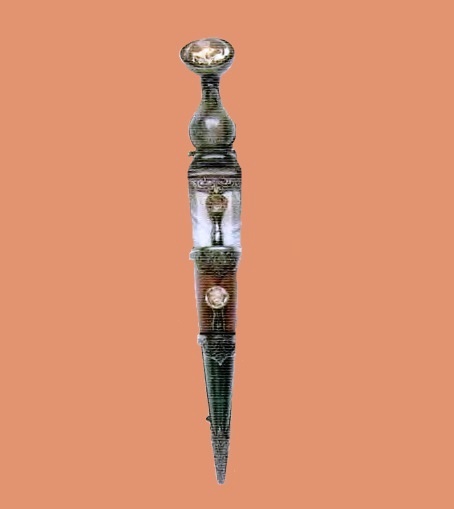 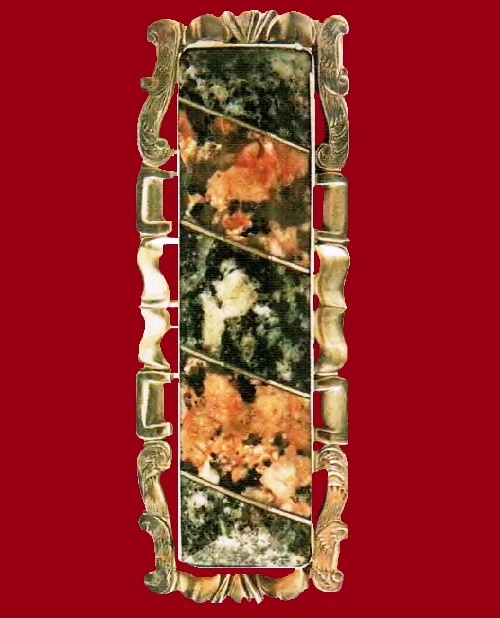 All – made of polished agate, trimmed in silver with engraving. 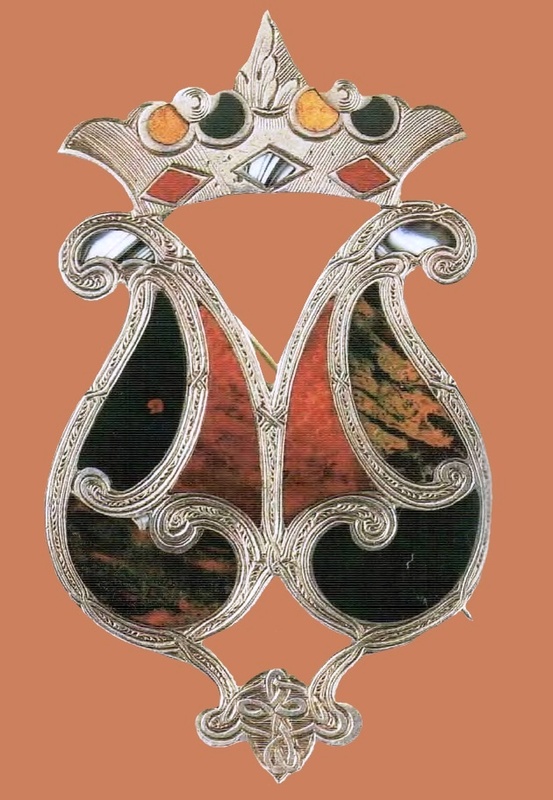 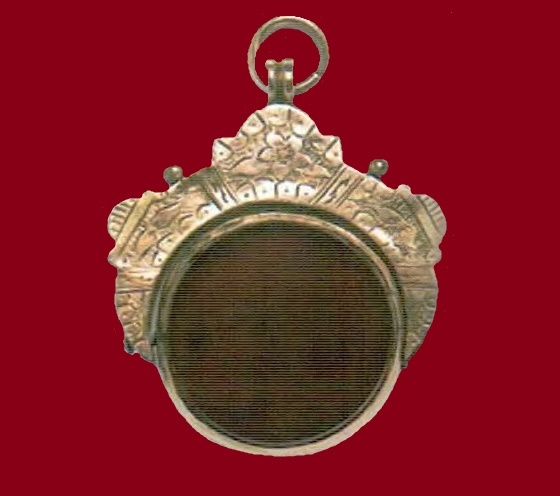 Although most of the jewelry pieces have no marks on them, yet some have the stamp of such masters as Sanjestor from Aberdeen or J.P. Hutton, which significantly increases their value. 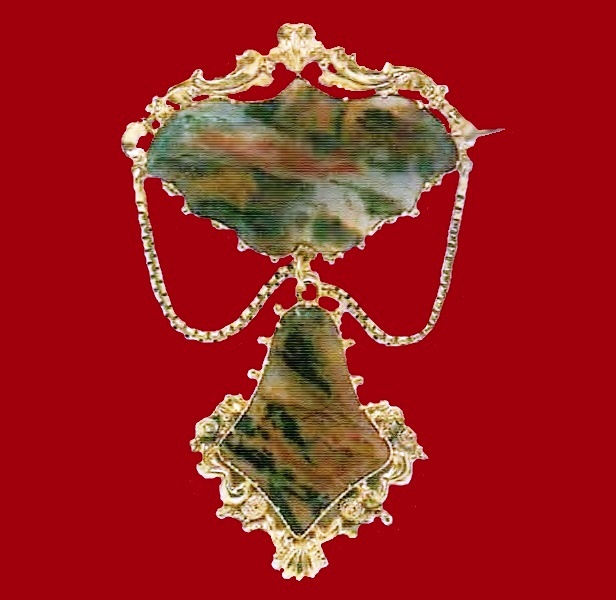 In other cases, the price depends on the time of creation, sophistication and design complexity. 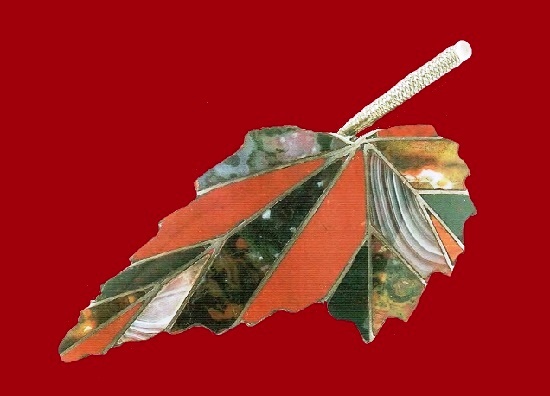 Noteworthy, early decorations date back to the end of the XVIII century.